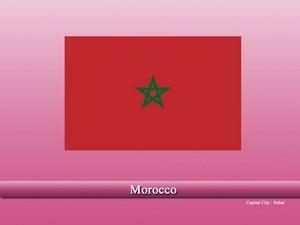 Morocco, officially the “Kingdom of Morocco” is a country situated in the Maghreb region, North West Africa. The country has unique characteristics featuring a mixture of African and European architects and preserved Islamic history. The country is a member of the United Nations, Arab League, and the African Union. Human history in the region dates back to the “Paleolithic times”. Berbers are one of the earliest known people of the region. Roman empire also ruled the region for a brief period of time and remains of that era can still be seen today. By the 7th century, Muslims armies began to arrive in the region and introduced Islam and Arabic. Most of the local Berber tribes accepted Islam and pledged their alliance with the Muslims. Later on, many independent Muslim dynasties ruled Morocco in their respective times. By the start of the 20th century, most of Africa was colonized by the Europen powers and their interest grew in Morocco also and, Morocco became part of the French territory. Thousands of Morrocan people also fought for France in both of the World Wars. The country retained its independence finally in 1956. Morocco has eccentric geography unlike the rest of Africa and poses unique features including snow-capped mountain ranges, green valleys, forests, and deserts. Moreover, the country has rich biodiversity and shelters hundreds of species. Arabic and Berber are the official languages of the country, while French is also used for some purposes. Islam is the single largest religion of the country that accounts for approx. 99% of the total population. Location for money and jewellery in house vastu? Vastu remedies for south facing house?